NYE 19 Carnivale Latin American Theme....! !The Biggest Latin American Fiesta DOWNTOWN Vancouver. 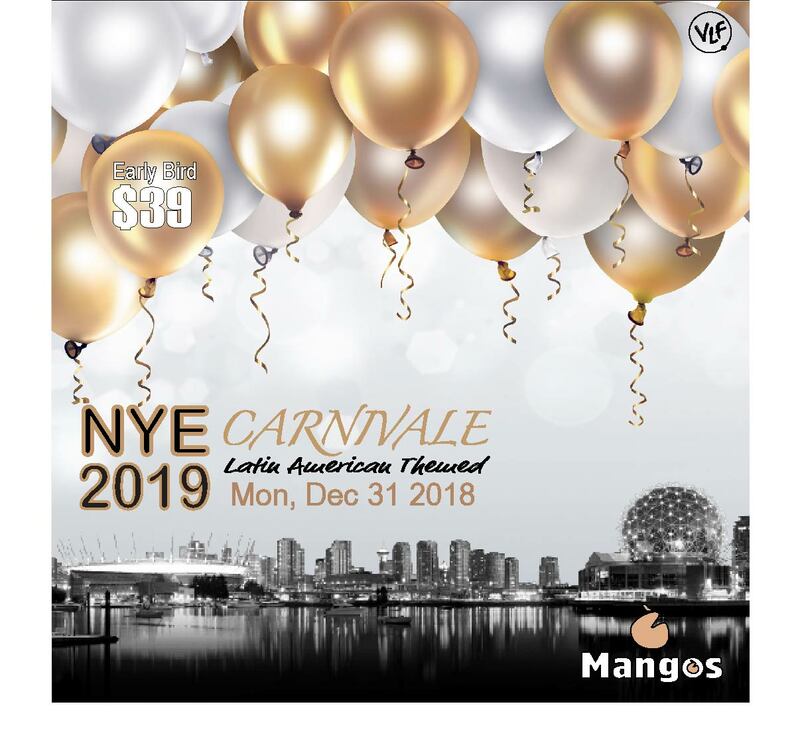 VLF present NYE 19 Carnivale Latin American Theme. The Biggest Latin American Fiesta DOWNTOWN Vancouver. Mangos Lounge (Vancouver) 1180 Howe St. Early Bird $39 (First 50 Tickets). Come and dance the night away …!! during the New Years 2018. Always check Vancouver Latin Fever for the Latin events in the City.